Currency trading can be a way for skilled individuals to make a great deal of money, but it can be hard to keep track of all of the factors that can make currencies move in one direction or another. Automated currency trading software, sometimes know as bots, or forex signaling systems are designed to take the guesswork out of buying and selling currencies. However, before using such software it is important to understand not only the advantages of this approach but the potential drawbacks as well. Forex software varies a great deal in its level of sophistication, its functionality and its reliability. It removes emotion Using forex software to make trading decisions removes your emotions from the decision making process. Emotions can often sabotage our investment strategy, so automating the process can help you avoid many common mistakes. Continuous operation Using software allows you to buy and sell currencies 24 hours a day – even while you are sleeping. Many software packages even allow you to trade on their own servers so you don’t even have to have your computer on. They can monitor your technical indicators continuously, round the clock and place trade orders when the conditions are right. Profits The potential for superior profits than traditional trading methods. Enforced money management The trader’s money management plan can be programmatically enforced by the software. This can be done to optimize the risk-reward and maximize capital utilization for the given strategy. Providing the software isn’t overridden, the trader is less likely to make trading decisions on impulse and over expose the account. Data mining Advanced software systems have the potential to “discover” hidden patterns, relationships and trends in market data that would otherwise be extremely difficult for a human to spot. Speed Software systems can identify trading opportunities and risks in markets which are moving extremely quickly and react accordingly. Managing multiple trades/orders They can deal with strategies that require managing several trades at once – grid trading, for instance. These strategies can be too time consuming and error-prone to do manually. Rigidity Some packages may be too rigid – allowing you to trade only a few pairs of currencies. Even worse, some bots also require you to signup with their “preferred” brokers. If this is the case, make sure that you’re not paying a spread premium and that the broker is legitimate and meets your needs. Lack of “manual overlay” Not all trades will fit into the automated trading model. Some online trading programs may limit your ability to profit from your specific knowledge of currencies. Reliance on technicals Existing software is not very effective at analyzing “fundamental data”, such as breaking news and economic releases. Though forex is a technically driven market, systems relying on technicals alone often break-down when important information comes to light and currency fundamentals change. Predictable behavior Many bots enter and exit trades according to well-known technical indicators. These create predictable “zones” where mass stops and take-profits are placed. Dealers and institutional players “trade against” these indicators when it suits their positioning. Misleading performance Performance results quoted by signal providers are often generated by “back testing” the indicator program against past data, rather than a result of “real trading”, so beware! Always do your own testing. Create a statistical distribution that will tell you the range of likely performance outcomes for your chosen system. “Black swan” events The forecasting techniques which the software uses may only work under certain “favorable” market conditions. Extreme market behavior may “break” less sophisticated computer models. This was painfully revealed to many during the credit crunch of 2007-8, where some automated systems racked up huge losses. Latency By the time trade instructions reach your trading terminal and are sent to your broker, the market may have moved already. This is known as latency or slippage. Latency can completely invalidate certain trading strategies that rely on rapid execution and tight stops – “scalping” and “fading” for example. Errors Trading software can and does go wrong. This can be a combination of faults with the software to broker related issues that prevent trades from entering/exiting at the desired levels. There are so many automated software programs to choose from that selecting the right one, for your particular investment style can be difficult. Choosing the wrong package could end up costing you a great deal of money. There are two basic types of system from which to choose: fully automated, and semi-automated. Some software is semi-automated in that they work by sending traders real-time trade notifications to their mobile devices. Traders can decide whether to act on the signal or ignore it. Semi automated system remain a good choice for those who want to keep within the loop and maintain overall control. Fully automated systems are integrated into the trading platform itself, and the more sophisticated ones are able to remove the trader almost entirely from the decision loop. These are known as “Program Trading Advisors” or “Experts”. 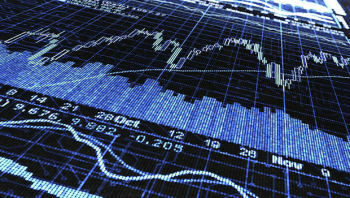 Alternatively, trade instructions can be received from a remote source such as another trader or an automated system. These are known as “trading signals”. There’s also software that will allow you to replicate trades between different trading terminals. Before committing to a system, it’s imperative to do a thorough due diligence and perform your own independent testing. For any trader wishing to use such a tool, it’s critical that they have a fundamental understanding of how the tool operates. It’s also important to check that your chosen software is compatible with the trading platform you will be using. Some brokers provide built in tools to their own proprietary platforms, while others use third-party platforms for which there may be a wider range of software signaling systems available. For example, the Meta Trader platforms. Which ever trading software you use, keep in mind that trading bots are not unlike self-drive cars. Though they might cope with most everyday events, the trader still needs to be in the driving seat to guide the system and deal with the unexpected.